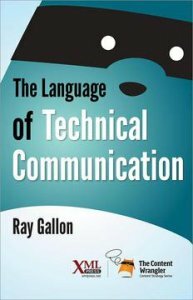 The Language of Technical Communication. 2016. XML Press. Current Practices and Trends in Technical Communication. Q4 2017. ISTC Books. This free illustrated 18 page guide, in graphic novel format, explains the business benefits of the DITA authoring standard. This free illustrated 15 page guide, in graphic novel format, explains the business benefits of technical communicators. Cherryleaf has published two books (now out of print): “How to Write Instructions” and “Trends in Technical Communication”.